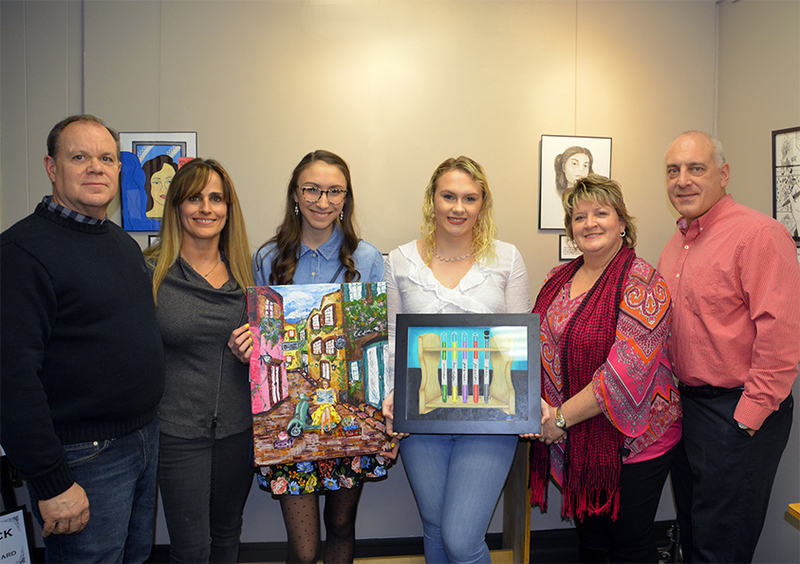 The Winners of the Kurt Lattimer Aspiring Artist Award for 2019- Meredith Hochstetler 1st place with ‘Bon Voyage’ and Ashley Kaskosak 2nd place with ‘Elements of the Future’! ((Photo L-R): Tony and Kim (Lattimer) Reeder, winners- Meredith Hochstetler and Ashley Kaskosak, Mick and Natalie Harris) CONGRATS!! !